The lure of the desert recently bit me again and so I went out to the Coachella Valley to paint with Andrew Dickson, Joe Forkan, Yu Ji and Larry Groff at the Salton Sea and some other great spots in the area. 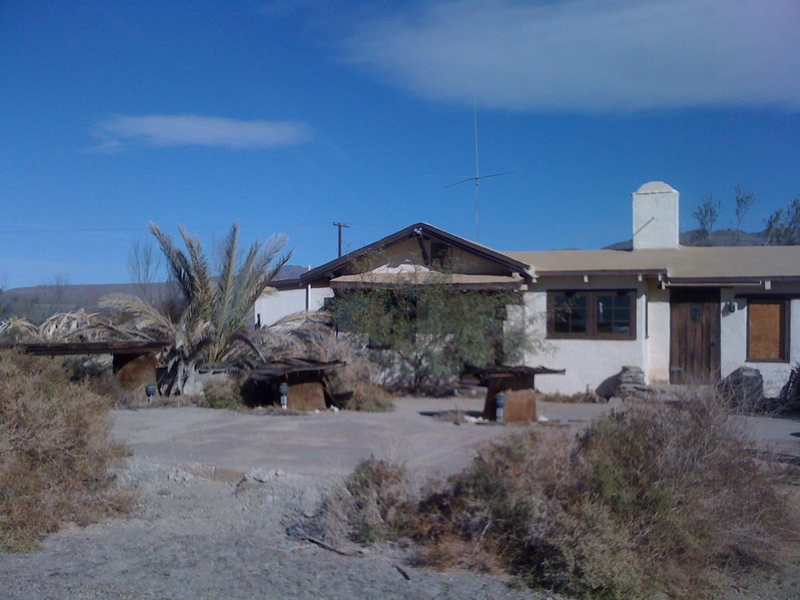 We explored some places I haven’t been yet, like Box Canyon and Painted Canyon, hiked to the Dos Palmas Adobe and Oasis, once the home of artist John W. Hilton (who lead quite an interesting life: he was a friend of President Eisenhower, James Cagney, Howard Hughes, and the early desert artists including Nicolai Fechin and Maynard Dixon used to gather at his place for parties – more info on Hilton here and here). 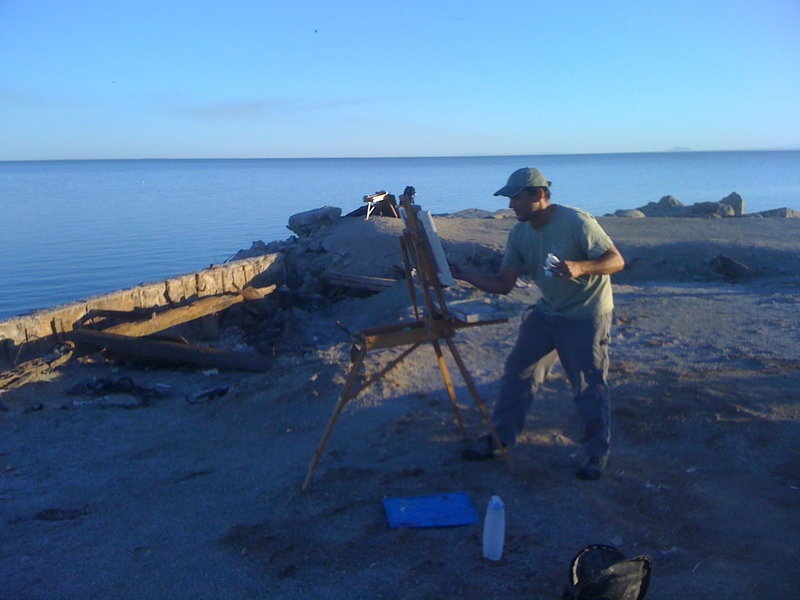 We also spent some time painting the surreal landscape of Bombay Beach. In Hilton’s words, the desert “. 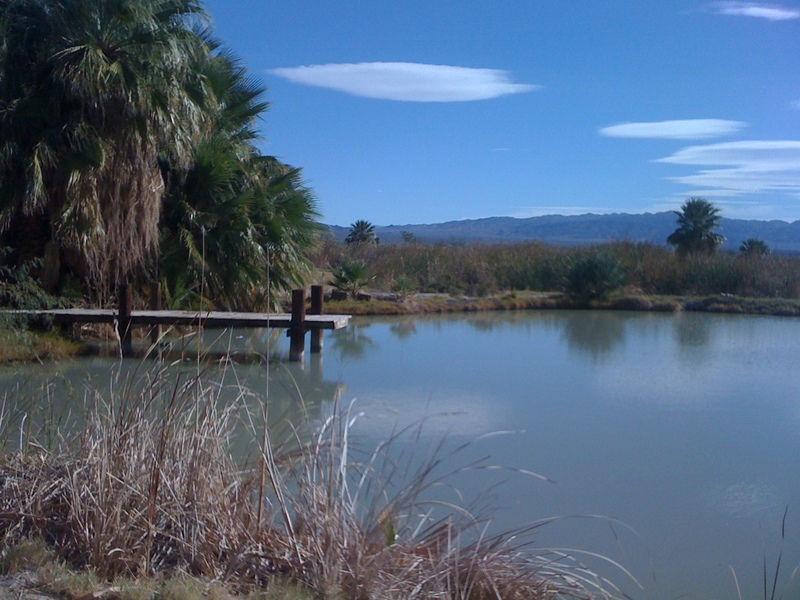 . . is a land of peace, silence and boundless skies …It is as if nature herself set aside these vast areas …so that thinking men might have a place where they go to regain their perspective and find themselves and their true meaning.” From what I understand, the Dos Palmas Adobe has been designated a Historical Monument and is no longer in danger of demolition. 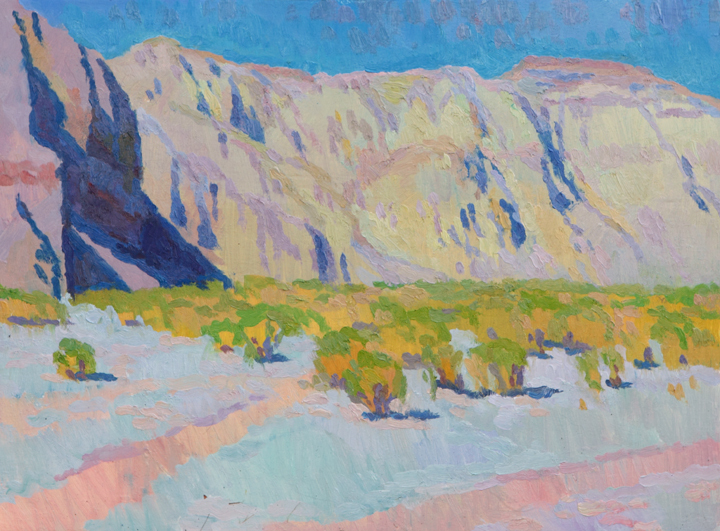 In the top painting above I was interested in the composition – the focus on the deep shadow on the left that then moved across the calligraphy of the face of the cliff in sunlight. After I sketched it and made some notes in my sketchbook, the color harmonies brought it all together. 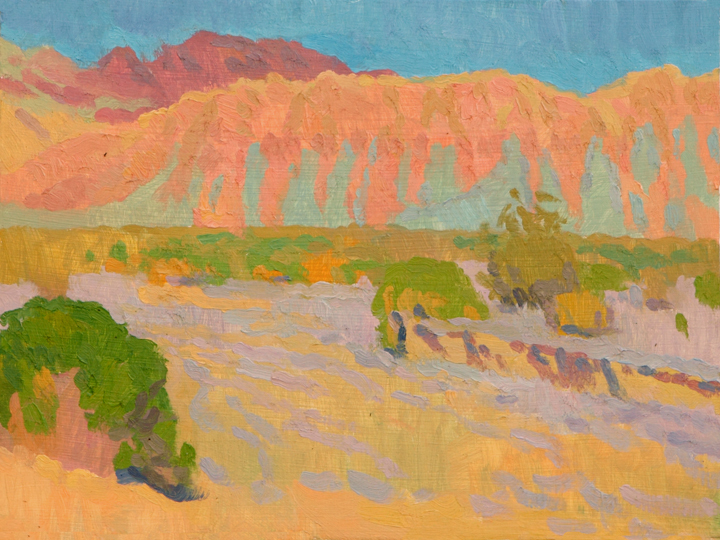 The painting below that was a fun challenge – frontally lit with almost no shade save under a bush or two – I had to use subtle temperature shifts to suggest some of the form changes on the hills. If you’re in Mecca, make sure to eat at Plaza Garibaldi Restaurant, 91275 66th Avenue, Mecca, CA 92254, 760/396-1500. Some of the best Mexican food I’ve had in California – you can get a good idea of the quality of a place by their chips and salsa, and these were amazing! Also, homemade tortillas!